Wool (72%) glove inserts. Military issue. Great also for the hunter, skier, or anyone who has to be out in the cold weather. Size 5. Never used. 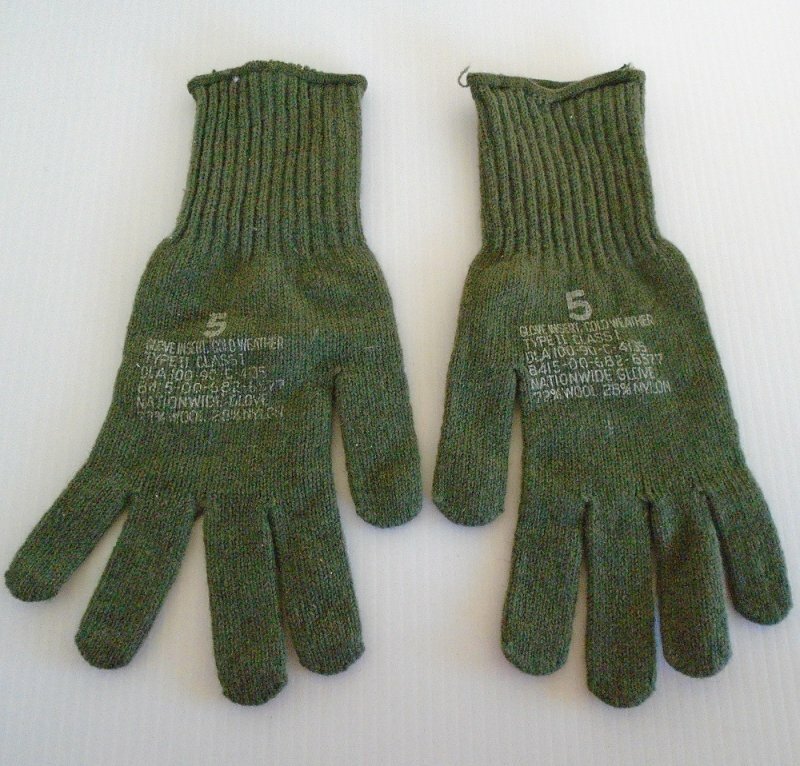 This pair of military cold weather glove inserts appear to have never been worn. I obtained them at an estate sale, so do not know for sure, but they are not stretched out, faded, pulled at, or have any other signs of usage. Although they are military issue, these would be great for a hunter, skier, or anyone who has to be out in the cold for numerous reasons. The printing on them says "5, Glove Insert, Cold Weather, Type II Class 1, DLA 100-90-C-4135 8415-00-682-6577, Nationwide Glove, 72% Wool 28% Nylon". They are drab olive green in color. Delivery will be via USPS First Class Mail Parcel. Buyer to pay delivery charges of $4.40.